From the 10th to the 13th September 2015, the 11th annual Lector in Fabula festival took place in Conversano, Italy. 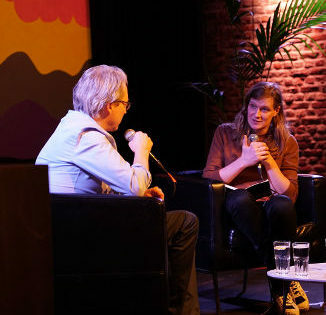 In 2015, the theme was the future of politics and, on top of the normal array of workshops, exhibitions and discussions, this year also saw a series of special debates take place in association with Eurozine. These debates, entitled Europe talks to Europe, took place from Thursday the 10th to Saturday the 12th September and video highlights of the discussions they featured can be found on this page. 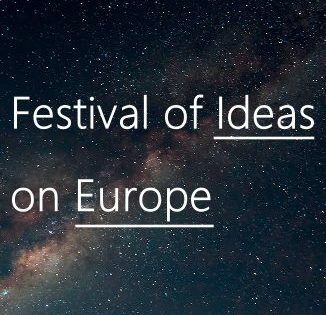 Featuring speakers and thinkers from across Europe, Conversano briefly became a microcosm of European culture and thought, with the energies of those participating focused wholly on the theme at hand – the future of politics. And, what of the future of politics? Throughout mankind’s long history, politics has seen many different manifestations and has been applied to many different things, in many different ways, but what does politics mean to us today? What is the purpose of politics, who do we consider to be involved in it and, when it comes down to it, what do we actually understand under ‘politics’? While visitors considered these points, 2015’s parole allo specchio format ensured that every issue was presented in such a way that they were continually confronted with at least two different perspectives on the same problems and encouraged to contemplate the multiple potential solutions emerging from divergent approaches. On top of this dialectical modus operandi, the parole necessaire aspect of this 2015’s format also asked visitors and participants to help give new meaning to old words. With many terms becoming neglected or disused, the organisers had considered much of the vocabulary of democracy to require being rethought and subsequently sought to use the opportunity provided by the festival to revitalise its lexicon and to inject new possibilities of expression into future political debates. All in all, featuring two Kurdish photo exhibitions, multiple workshops and a series of debates on issues ranging from Google to personality politics and the modern Left, Lector in Fabula 2015 provided an opportunity not just to discuss, but to witness, learn and inspire. And, some of these opportunities are still available, with videos from the Europe talks to Europe debates being available further down on this page. To find out more about and watch the Europe talks to Europe debates, scan down or click here. To visit Lector in Fabula’s website and see the full programme of events (mainly in Italian) click here. Alternatively, to read more detailed information about the theme and the format of this year’s festival (in Italian and some English), click here. Europe talks to Europe was a series of debates organised by Eurozine at Lector in Fabula 2015 in Conversano. To find out more about the rest of the festival, entitled Il futuro della politica [The future of politics], click here. To learn more about and to watch the Europe talks to Europe debates either click on one of the hyperlinked dates below or scan down. Free speech is a fundamental human right and a central tenet of democracy. Or is it? Ten years ago, reactions to the Danish cartoon controversy revealed strong divergences in society about what the right to free speech entails. In 2015, after the attack on the editorial offices of the magazine Charlie Hebdo, this conflict is stronger than ever. How free is the world of words? Today, more than half of the world’s population lives in a democracy. At the same time, regimes claiming to be democratic are widely criticised. Mistrust of the state and its institutions provides a breeding ground for populist movements, whose antipathy towards political elites quickly turns into rejection of the parliamentary system per se. Have we reached the end of democracy or is it still possible to return to its very basis and to clarify its purpose – its ends? The bite of satire has been felt by abusive regimes of all colours. And, recently, political cartoons entered the mainstream of public debate. Yet, what do those who use the power of images to expose the powerful really think. What can one say with a cartoon and what not?